Lightfoot says he’s extremely excited for the opportunity to tackle difficult issues like council’s proposed Police Accountability Board. The vice president role became available after longtime councilman Adam McFadden pleaded guilty to federal charges in connection to an ongoing investigation involving an organization funded by the Rochester Housing Authority. State law required McFadden to step down. McFadden’s South District Council seat remains open. 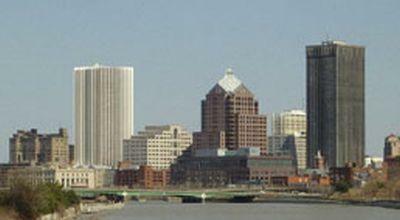 Rochester’s City Charter requires council to replace any vacant seat with a person from the same political party within a month of a resignation. Council President Loretta Scott says that process is ongoing, and expects to meet that deadline. A statement from City Council said that Lightfoot will serve the remainder of McFadden’s term as vice president, which ends on Dec. 31. Even though Rochester City Council Vice President Adam McFadden pleaded guilty to a felony Monday, which would mean he can’t continue to hold his council seat, there are still some questions about how much longer he can remain in office. McFadden pleaded guilty Monday to a federal charge of wire fraud and filing a false tax return. City Council President Loretta Scott and the city’s lawyer Tim Curtin released statements saying that state law requires McFadden to leave office immediately. Rochester City Councilmember and Council Vice President Adam McFadden was charged in federal court this morning with four counts of wire fraud, conspiracy and money laundering involving the Rochester Housing Authority and Rochester Housing Charities. Housing Authority Chairperson George Moses was arrested on similar charges four months ago. He was accused of lying to the FBI in its investigation.